I ran across this New York Times article from last year all about cookbooks for kids. As a new Mom (okay, Darcy is 15 months old, maybe I'm not such a new Mom anymore), I can attest to the obsessive compulsive aspects of feeding children. You just want to give them the best possible thing, but the Lord knows I don't want to spend an hour cooking something that Darcy sticks in her mouth and immediately removes with a grimace! She's still just learning about food, but I am really looking forward to getting her involved in cooking as soon as she's ready. Apparently, I'm not the only one interested in this. 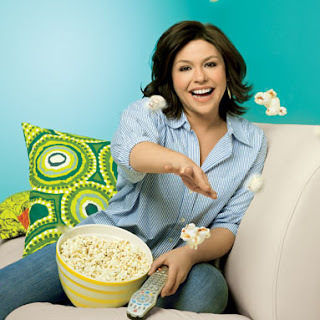 Rachael Ray is among a group of chefs who are creating cookbooks for kids. Rachael has two: Cooking Rocks! and Yum-o! The Family Cookbook. The Times describes the Yum-o! Family Cookbook this way: "The recipes are written for adults and experienced teenagers, but each one outlines special tasks designed specifically for 'itty bitties,' like breaking spaghetti for soup or flaking tuna for a salad." Apparently, 500,000 copies were originally printed, which is less than half of what was printed for Rachael's last book, but "the figure is huge by children’s cookbook standards, where 20,000 is considered a strong first effort. Royalties will go to her Yum-o organization, which is aimed at helping families eat more healthily." Emeril's There's a Chef in My Soup!